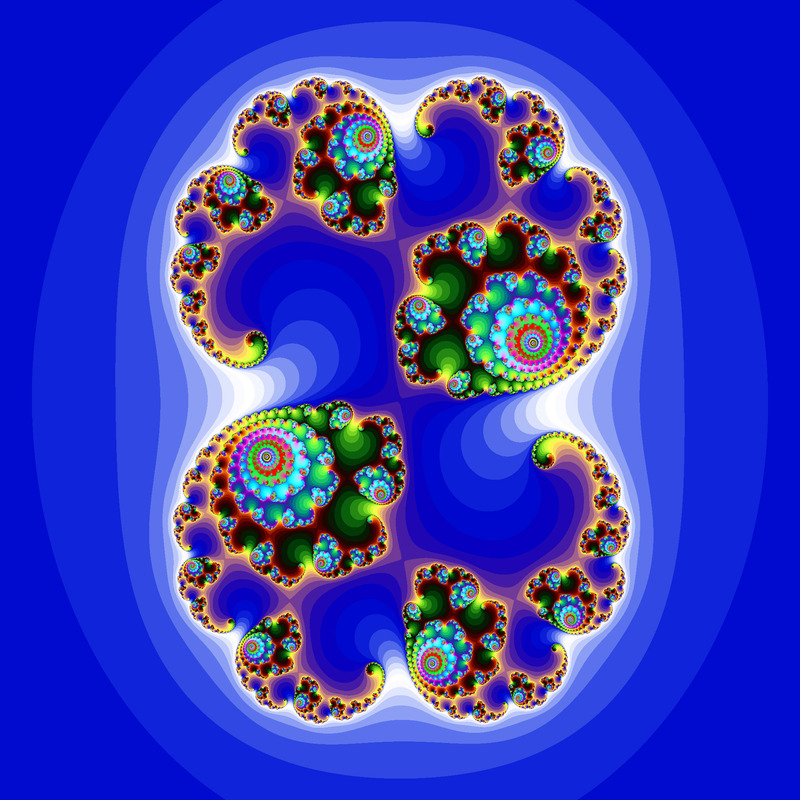 Recall that the Mandelbrot set arises from iterating the complex function z2 + c, where c is a set of points in the complex plane. Those values of c for which z, initially zero, remains bounded are in the set, and those which increase forever are not. The (quadratic) Julia set is similar, but now z starts at those points in the complex plane, while c remains at some fixed complex value. In the context of complex dynamics, a topic of mathematics, the Julia set and the Fatou set are two complementary sets(Julia ‘laces’ and Fatou ‘dusts’) defined from a function. Informally, the Fatou set of the function consists of values with the property that all nearby values behave similarly under repeated iteration of the function, and the Julia set consists of values such that an arbitrarily small perturbation can cause drastic changes in the sequence of iterated function values. Thus the behavior of the function on the Fatou set is ‘regular’, while on the Julia set its behavior is ‘chaotic‘. The Julia set is named after the French mathematician Gaston Julia who investigated their properties circa 1915 and culminated in his famous paper in 1918. While the Julia set is now associated with a simpler polynomial, Julia was interested in the iterative properties of a more general expression, namely z4 + z3/(z-1) + z2/(z3 + 4 z2 + 5) + c.